The Centennial Legion of Historic Military Commands was organized on July 4, 1876, in Philadelphia, at the Centennial Celebration of our nation. A mammoth parade featured the newly formed Legion comprised of Historic Military Commands from the thirteen original Colonies. The suggestion to form the Legion was made a year earlier (1875) at the Bunker Hill Centennial Celebration in Boston by Major George W. McLean, Commander of The Old Guard – City of New York and Captain Robert C. Gilchrist, Commander of the Washington Light Infantry, Charleston, S.C.. The unhappy War Between the States had ended only ten years before and there still existed very strong sectional feelings which many level-headed men of that day sought to eradicate for the general national good. Two such men were Major MacLean and Captain Gilchrist. This friendly association together of soldiers at Bunker Hill, many of whom had a few years previously been engaged in actual warfare with one another, created a feeling of fraternity and good fellowship that set the stage for organizing The Centennial Legion. 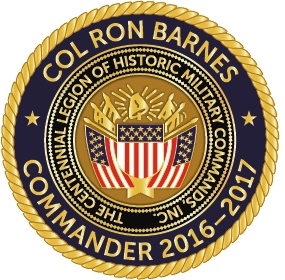 The Centennial Legion remains an active organization and is comprised of 83 Historic Military Commands. It seeks to perpetuate the Military Organizations who served and protected our country in the early days of its history, prior to, during and subsequent to the revolutionary War. It was formed to unite together those Military Commands that still exist, together with their successors, in one body, pledged to keep alive their ancient traditions and to preserve the records of their Military Achievements. The organization fosters patriotism and encourages National Defense. It is bound to uphold the national institutions of the United States in their integrity and to maintain a brotherly union and benevolence among our armed forces. It recognizes and honors all citizens who served or are serving in the Army, Reserve Corps, Navy, Marine Corps, Air Force, Coast Guard and the National Guard. 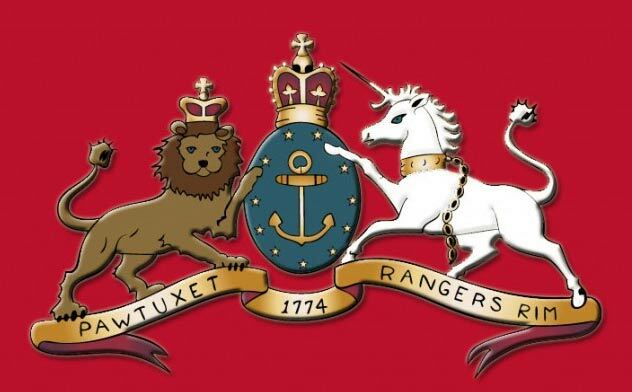 COL Ron Barnes, Commanding Officer of the Pawtuxet Rangers was elected National Commander of the Centennial Legion of Historic Military Commands at the group’s Annual Meeting in Hartford, CT on October 16, 2015. COL Barnes is one of only five from Rhode Island to hold the Commander’s office since the group’s inception in 1876. 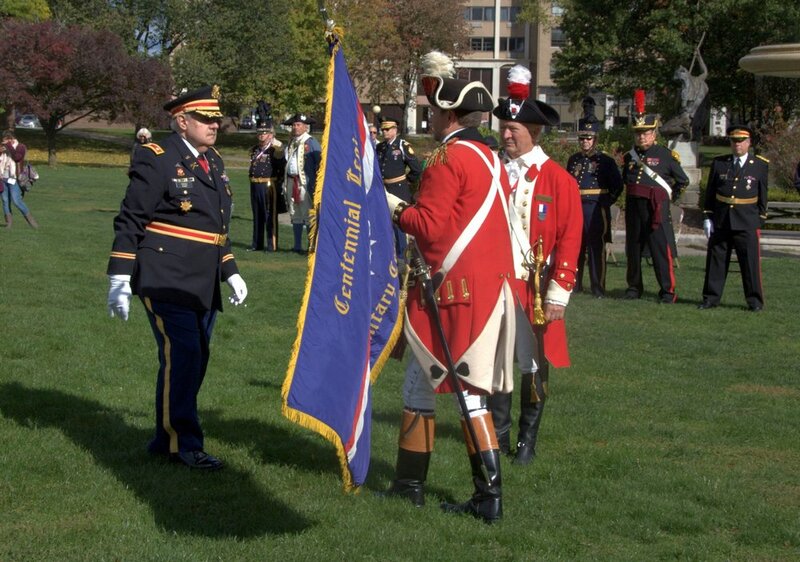 At a ceremony in Hartford, with the Pawtuxet Rangers in attendance, he officially assumed command of the Legion with a ceremonial Change of Command ceremony in which he officially accepted the Commander’s Flag of the Legion.